Dawn helps the reader interpret the material through script analysis. When the actor feels they have a good understanding of what their scene and character is about and where the scene should go, Dawn helps them to prepare for their audition by locating the actors centering tools. When the actor learns what these tools are, they are not only able to comprehend the scene, but also bring it to life. 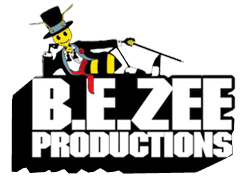 B.E.ZEE Productions provides a safe, supportive setting where Dawn holds her coaching sessions. Always with a dab of playfulness, Dawn’s keen eye for specifics & technical insight helps cut through habits that hinder the actor, thus inspiring ideas and actions from the actor which gives them the courage to perform. Dawn herself trained at Simon Fraser University under the instruction of Andrew McIlroy (a graduate of the National Theatre School of Canada, and one of Canada’s and Vancouver’s most highly respected acting instructors), as well as under New York Meisner acting coach Andrea Geometti, Actor/Producer Tony Barr, Actor/Director Bob Fraser, Actor/Director Neil Schell, Casting Director/Producer Andy Henry, Actor/Director Marc Baur, Canadian-based artist and educator, Traci Foster; who explores and develops her work through a blend of Fitzmaurice Voicework, Actress/Acting Coach Diana Pavlovska, Acting Coach Cecelia Smith, Improv Enthusiasts John McCallum, Lyle Moon & Nicola Harwood and Casting Directors Jackie Lind, Corinne Clark, Deborah Green & Michelle Allen. Dawn is the most supportive, positive person I’ve ever had the pleasure of meeting. She is very enthusiastic and I swear that I learn just as much from watching and listening to her speak as I do from her coaching. Dawn has opened my eyes to so many things I never would have thought about in acting, from motive, to pace, to meaning. All of Dawn’s criticisms are positive and constructive, and after each session I feel as though I’m a better actress than I was before. She is very organized as well as incredibly kind and thoughtful. Dawn has played a huge part in convincing me to pursue acting as a career rather than a hobby, taking me a step closer to achieving my dreams. It’s been marvelous working with and getting to know Dawn, and I look forward to many more coaching sessions with her! Dawn is an approachable talent coach that is very patient, forthcoming and instrumental to my career as an actor. She has gone above and beyond and I would not be where I am today without her!!!! I feel that Dawn’s expertise and talent on both sides of the camera has helped me prepare for auditions and has made me an all-around stronger and more competitive actor. Dawn’s kindness, creativity, energy, and versatility lend extremely well to fun and constructive training that has helped me build confidence and gain insight into what production companies and casting directors want to see in an audition and on set. Dawn is wonderful! She has really taken me under her wing and been there to encourage me every step of the way. I have grown so much as a performer because of her. She’s easy to work with, smart, knows her stuff and is a great coach! I utilized Dawn’s services when I auditioned for a talking role and I felt more prepared and confident going into my audition and I appreciated her positive comments as well. I would definitely utilize her affordable services in the future!